This blog post is in response to a study I am doing at http://www.proverbs31.org. We are currently reading the book Limitless Life: You Are More Than Your Past When God Holds Your Future by Derwin L. Gray. 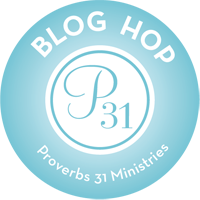 Every Thursday Proverbs 31 hosts what they call a “blog hop,” in which we have the opportunity to link our blogs with the online bible study blog site. I am thankful for the opportunity to share with others, but I am also finding new, amazing blogs and friends. For more information, please click the link at the bottom of this post. Out of the four topics to choose from, today, I decided to try something new: Map it! Ephesians 2:10 (NLT): For we are God’s masterpiece. He has created us anew in Christ Jesus, so we can do the good things he planned for us long ago. Masterpiece-as defined by Merriam Webster- : a great book, painting, piece of music, movie, etc. ; also : the best book, painting, piece of music, movie, etc., by a particular person; : something done with great skill. Created Us Anew-we are made new; we are made clean by the blood of Jesus Christ. Once we accept Jesus as our Lord and Savior, are old selves are dead and our new lives in Christ are just beginning. 2 Corinthians 5:17 ESV: Therefore, if anyone is in Christ, he is a new creation. The old has passed away; behold, the new has come. Galatians 2:20 ESV : I have been crucified with Christ. It is no longer I who live, but Christ who lives in me. And the life I now live in the flesh I live by faith in the Son of God, who loved me and gave himself for me. Isaiah 43:18-19 ESV : “Remember not the former things, nor consider the things of old. Behold, I am doing a new thing; now it springs forth, do you not perceive it? I will make a way in the wilderness and rivers in the desert. 2 Corinthians 5:17-21 ESV : Therefore, if anyone is in Christ, he is a new creation. The old has passed away; behold, the new has come. The sad thing is, most people don’t believe it or understand this “new” concept, and still hold on to their pasts. We hold on to old hurts, failures, and etc., and these things become strongholds, preventing us from becoming the people we are called to be. God has a plan for us. I find comfort in that His plans are for our good and not to harm us. Not to say we won’t have bad times, but he will use those “bad times” to grow us and lead us where we are supposed to go. Often times it is the hard times that draw us to him. You made all the delicate, inner parts of my body and knit me together in my mother’s womb. Thank you for making me so wonderfully complex! Your workmanship is marvelous—how well I know it. You watched me as I was being formed in utter seclusion, as I was woven together in the dark of the womb. You saw me before I was born. Every day of my life was recorded in your book. Every moment was laid out before a single day had passed. 17 How precious are your thoughts about me,[b] O God. They cannot be numbered! 18 I can’t even count them; they outnumber the grains of sand! And when I wake up, you are still with me! What this all means to me? I am God’s great art work. I am fearfully and wonderfully made. As Jesus is my Lord and Savior, I am a new person. My past is no longer my future. My former self is dead and buried and I should no longer let who I used to be rob me of who I can be. God has a plan for my future and I need to keep my eyes looking forward. Sometimes the plan God has for me involves hard times, because it is in those hard times we grow the most and closest to Him. I need to learn to trust Him a little more in the hard times and not let my faith sway or become angry. 3. God is more concerned with character than comfort. Okay, this mapping thing was a little different for me. I liked it and I didn’t. I got a lot of it; however, I don’t feel like I’ve shared what God laid on my heart and I would also like to share a little more of Limitless Life. So, tomorrow, I think I will add a little bit more. I think once you start verse mapping, you could just keep going, and going!! I loved how you mapped this all out and how it took us on a little tour of the Bible!! Thank you so much for sharing, it’s a joy to be doing this study alongside you. Blessings to you my friend!! Great post! It was incredibly informative. You’re right- We are fearfully & wonderfully made! I loved that part. I need to learn to embrace who I am in Christ.